Design and manufacturing of Unmanned Ground, Surface and Underwater Systems for inspection and intervention tasks in the context of Defence, Security, Nuclear & Chemical Industries. Main aim of the developments is to spare humans involved in life threatening missions such as Mine Warfare, EOD/IEDD, conflicts, terrorist threats, hazmat, handling of nuclear power waste and deep offshore operations. Consists of Mobile Ground Robots from 5.6 to 125 kg. Typically designed for tactical first response in urban warfare and Homeland Security, COBRA MK2 has been successfully deployed in Afghanistan. Fighting against Improvised Explosive Device (IED), it carries out a multitude of missions such as Neutralization, In-telligence, Surveillance, Reconnaissance (ISR) as well as Chemical & Radiological threats. It increases situational awareness, indoor and outdoor. Lightweight modular UGV - Cameleon, for EOD/IEDD detection and neutralization, bomb disposal, Render safe, CBRN detection and heavy duty operations. Main users: police, military. Dedicated Cameleon EOD version. Modular architecture for fast reconfiguration, large choice of existing sensors. 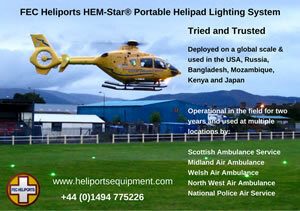 Designed for use in urban areas, ports, airports, on aircraft, on subways etc. Characteristics: Size 670 (L) x 500 (W) x 190 (H) mm; platform weight 27 kg. EOD UGV TSR 202 for detection & neutralization, handling and neutralization of suspicious devices, route clearance and dangerous duty operations. Users: police & military, EOD units, fire brigades. Characteristics: Size (with folded arm) 1.2 (L) x 0.67 (W) x 1 (H) m; Weight including army 270 kg; payload capacity of 20 kg. ECA ROBOTICS developed a wide range of specialized payloads for Security & Defence missions, based on an open architecture and a plug & play concept. 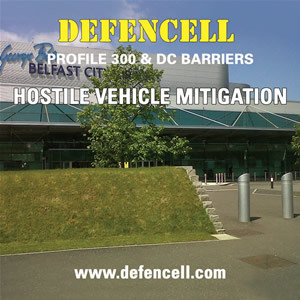 They have been designed for a variety of missions such as: Intelligence, Reconnaissance, EOD, Surveillance, Hazmat, Fire/Weaponery, selfprotection, CBRNâ€¦. Almost all of them can be fitted on ECA ROBOTICS Unmanned Ground Vehicles CAMELEON. ECA ROBOTICS promotes a wide range of Autonomous and Remote controlled Underwater and Surface Vehicles (AUV, ROV, USV). ALISTER - Autonomous Underwater Vehicle Range consists of Autonomous Underwater Vehicles designed for different missions for Hydrography, Oceanography, Homeland Security, Mine Counter Measures, Rapid Environment Assessment, Confined Area Inspection, High Resolution Seismic Survey and Sediment Analysis to name a few. They differ in body form (single and twin), diameter/size (9 to 27 inch for the mono bodies), and embark different payloads/sensors depending on the mission profile. ECA ROBOTICS covers a whole range of Remote Controlled Subsea Vehicles starting off with H300 MKII, an Inspection ROV, depth rated to 300m. Withstands sea currents up to at least 3 knots. High performance viewing system, with both a colour/zoom TV camera (mounted on a full Pan/Tilt unit) and a B/W very low light TV camera. High level of modularity, with a wide range of optional sensors and tools, mounted on the ROV itself or on interchangeable skids: all types of sonars (side scan sonar, imaging sonarâ€¦), altimeter (with auto altitude function), GPS, high resolution digital still camera, manipulator arm, metal detector. Comes with: Single, ergonomic hand controller for both the ROV and a 5 functions manipulator arm; Control unit incorporating the power supply unit, and offering a PC screen with either video only, or the combination of video, sonar display and digital still control; Ease of handling and installation on board of ships, due to compact size and reasonable weight. H800, ROV designed for subsea inspection and light work with 800 m depth rating. It is equipped with six very powerful thrusters, a high performance viewing system. It is com-pact in size, modular and flexible design (options and skids simple to add) and features an easy access to all sub-systems for maintenance purposes. Dimensions: 992 (L) x 720 (W) x 551 (H) ; 99 kg excluding optional equipment. Compact in size and air-transportable; open frame structure and modular design; equipped with six very powerful thrusters, high performance viewing, instrumentation and navigation systems, two manipulator arms (7 functions and 5 functions) and a set of hydraulic tools ; delivered with TMS and LARS. ROVING BAT - Hybrid free-flying ROV and crawler for Inspection and Cleaning, capable of reaching a target in free-flying mode, completely tilting up or rolling to one side and then sticking to any vertical or inclined surface, as well as moving along any surface in crawling mode to run a close inspection. Key feature is a very strong thrust which permits to operate in severe conditions. The primary applications are: hull inspection of ships for detection of uncleared objects, hull inspection and cleaning of FPSO or vessels and inspection of immersed structures. ROV for stable and fast real time accurate underwater inspection of the seafloor and all kind of immersed structures. Is operational from any non-dedicated platform, at short or long range, in shallow or mid water. Is used for salt and freshwater operations, especially for high resolution subsea structure image acquisition, accurate pipe and dam survey, leak and crack investigation, hull and pier inspection (anti-piracy and anti-smuggling). Features: rotating head for 180Â° observation, wide choice of sensors for 2D and 3D imaging and fitted with an acoustic transponder for accurate localization. Operational in strong current (at open sea and in pipelines). Dimensions: 1500 L x 230 diameter; 50 kg slightly positive boyancy 300 m depth rated (deeper on request). The system exists in two different configurations, FDS (Forward Detection Sonar) and MIDS (Mine Identification and Disposal system). Used for Mine Hunting missions ahead of the ship, detection and classification of ground and moored mines on the continental shelf, seabed survey and investigation, relocation, identification and destruction of ground and moored mines. Mid-water or seabed inspection. It features a very low magnetic and acoustic signature, 3-D automatic piloting and high hovering capability for identifying sea bottom objects in harsh conditions. Large payload capacity: NATO explosive charge, manipulator arm, sonar payload. Underwater vehicle for the identification and destruction of bottom-laid and tethered mines. More than 500 units of the PAP system are in service with 20 navies throughout the world. By means of a guide-rope, the vehicle navigates in mid-water or at a constant altitude above the seabed. It is fitted with camera and/or sonar for visualisation and identification purposes. The mine is destroyed by the explosion of a 120 kg NATO charge and/or by cutting the mooring rope. Unmanned Surface Vehicles INSPECTOR differ in size, in body structure and in payloads/sensors depending on their use as Remote Controlled Target for fleet training (INSPECTOR MK1), Imagery and bath-ymetric Survey (INSPECTOR MK2), Mine counter Measures or Maritime Interdiction Oper-ations. INSPECTOR Mk1 is a 7 meter RHIB, easy to deploy USV, developed for Navy crews training in self-defense against asymmetrical threats and for development and certification of weapon systems. The very shallow draft with a mass of only 2100 kg and equipped with 250 HP inboard Turbo Diesel engine with propeller speeds it up to 35 knots. Features a very shallow draught and one patented rotary bow arm for shallow and very shallow water survey, detection and classification, Littoral and inshore hydrographic op-erations, Harbor and Offshore assets survey and protection. High endurance at sea and very reliable. Aluminum Rigid Hull; Dimensions (L x l) : 8.40m x 2.95 m (2.55 in transport configuration); Draught of 0.5m Weight: 4700 kg (including 1000 kg payload); 2 diesel hydro jets (2 x 170 to 215 kW) with speed ranging from station keeping to 25 kts in transit.Operational to sea state SS4. Fully automatic, remotely controlled, or manually piloted. The Rotary bow arm allows the deployment of various acoustic sensors MBES/SSS/ADCP/IMU/SVP. Main missions of this easy reconfigurable USV are Intelligence, Surveillance and Recon-naissance, Anti-piracy, Anti-smuggling and Anti-pollution, Permanent littoral patrolling, the protection of commercial shipping routes and search and rescue operations. Dimensions (L x l): 9.20m x 2.95 m (2.55 in transport configuration); 0.6m draught; Aluminum Rigid Hull, speed up to 38 knots; Autonomous, Remote controlled, Manually piloted, Sea state : Operation: up to SS4 / Survivability: SS5. ARM 5E - 5 function ELECTRIC manipulator arm for underwater intervention, manipulation, object retrieval, nuclear environment operations and EOD. Modular construction for easy maintenance and repair on deck. Optional: Oil free version for 300 m depth rating. Lifting capacity of 25 kg, slew 120Â°, jaw pressure 60 kg, continuous jaw rotate, elevate 90Â°, elbow bend 145Â°. ARM 5E micro - five function electric micro manipulator arm for very light ROVs. Only 2.5 kg (5.5lb) in water with a lifting capacity of 10 kg (22lbs), a reach of 640 mm radius and a slew of 120Â° this manipulator is powered by brushless 24-30 VDC elec-tric motors. Zero Oil System. Slew 120Â°, jaw opening of 125 mm @ the tips, continuous rotation, elevation 90Â°, elbow 132Â° reach 640 mm and lifting capacity of 10 kg. Full 7 function capability with rate/position feedback options with simple mounting and protected hose runs. 38 kg (83 lb), slew 180Â°, elbow 105Â°, forward rotate 350Â°, lifting capacity 90 kg, jaw open 150 mm, closing force 50 kg. Features modular design for easy repair and maintenance. Depth rated to 7 500 m.